We have had Xbox One in the market for a few years now, so it might be a good time to round up some of the best experiences we’ve had on the console over the years. Now we all know that multiplayer is fast becoming the more popular mode among gamers, and developers are stressing on creating a more diverse and immersive multiplayer experience for their players. So we did some research and compiled the best multiplayer games we could find for the console and put them together into a single list. Now it’s beyond the scope of this article to highlight all the good multiplayer games, but this seems like a good start. You can play these top multiplayer games on Xbox One and a few of them on Xbox 360. ‘Rocket League’ is what you get when you blend demolition derby with football, and the result is thoroughly entertaining. The game allows you to take part in a soccer match while driving a car. You read that right, there’s no need to look confused. 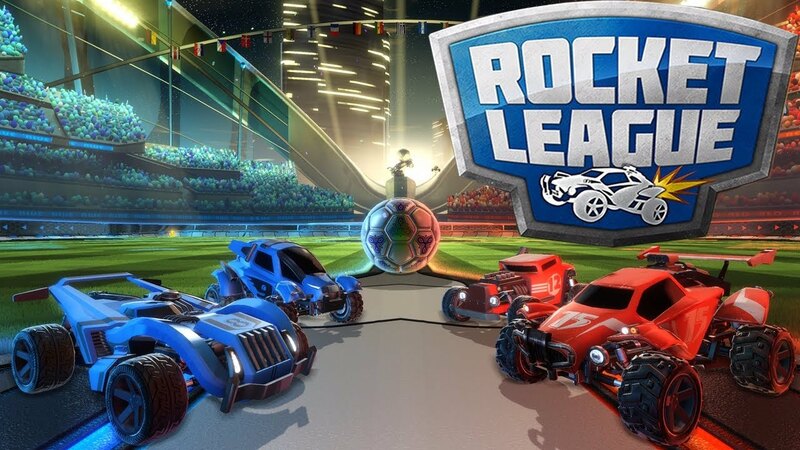 ‘Rocket League’ puts you in the driving seat of a rocket powered car and you must team up with others online to compete in a football match. The rules are pretty much the same as an indoor football game but are played with four players in each team. There is no rule for outside or offside, making it an ongoing experience till a goal scored. It’s really fun to team up with your friends and take on other teams online and the co-op scenario leads to some hilarious scenarios with your opponents. There have been times when we have played online games just to ram the cars in the opponent’s team making them frustrated. They will then retaliate and soccer is mostly forgotten for the rest of the match. This is one game we highly recommend to people who make it a point to get together regularly and play games together since it is a time killer. It was developed and published by Psyonix in the year 2015 to overall positive reviews though. It has been criticized for its weird physics engine. However, we feel that the physics of the game actually makes it more fun to play, but hey that’s just us! Let us know what you think and whether the physics engine actually needs an overhaul. 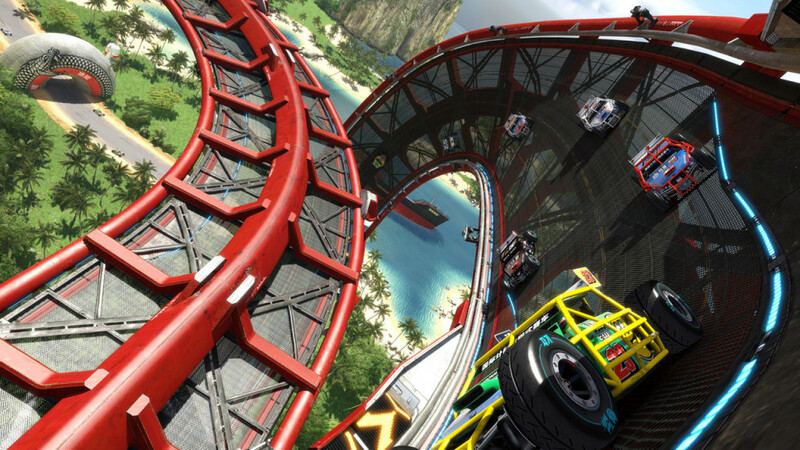 ‘Trackmania Turbo’ is an arcade racing game developed by Nadeo and published by Ubisoft in the year 2016 for the Windows PC, the PS4 and the Xbox One. The game was always intended to be flashy and arcady from the very beginning of development and the game proudly bears that flag on its chest. This is as arcade as you can get on your home consoles and if you are a fan of such shenanigans, then you might want to check this game out. There are no physics based collisions or perfectly coded damage signs on your cars but what is does have is breakneck speed and a huge selection of tracks that you can race on. The action is very fast paced and rewards you heavily for pulling off unique stunts within the course of the race. There are 4 distinct realms within the game, namely, Rollercoaster Lagoon, International Stadium, Canyon Grand Drift and Valley Down and Dirty. Each of them contains a selection of tracks and are themed down to the core, allowing you to immerse yourself in high speed action. ‘Forza Motorsport 7’ is a realistic racing simulator developed by Turn 10 Studios and published by Microsoft Studios back in the year 2017 for Windows PC and Xbox One. It is regarded as one of the best track racing simulators out there with over 700 licensed cars including some designed by Forza themselves. There are over 200 different race variations set in over 32 locations around the world and some of the iconic tracks from ‘Forza Motorsport 7’ also make a comeback in this game. The game managed to win the best racing game of 2017 in an award by IGN including various other end of the year awards, making it one of the best instalments in the series till date. 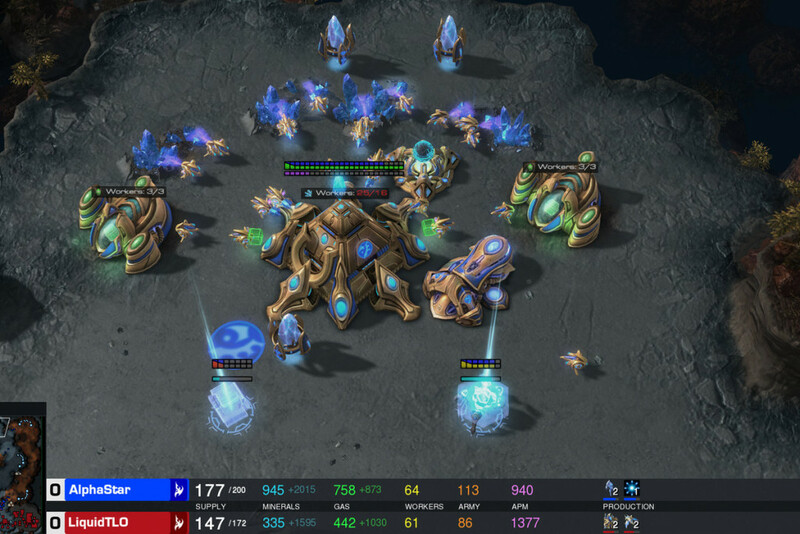 The multiplayer features of the game are also one of the highlights as it allows its players to compete against each other in a split screen scenario. If you are looking for a multiplayer racing game, then you definitely need to set your sights on this one. 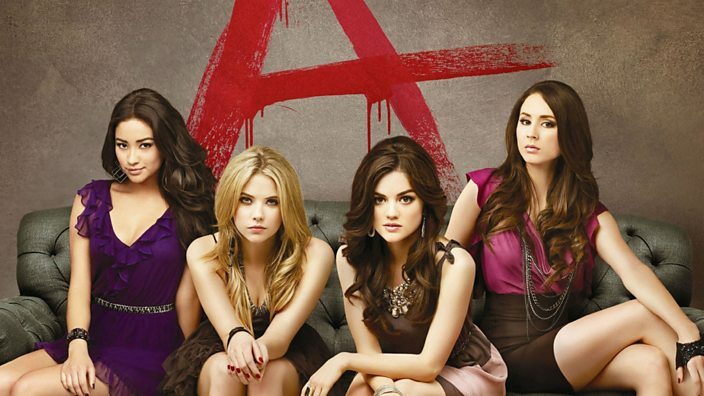 The series has been widely praised by fans and has one of the most dedicated communities online. It also receives regular updates from the developer adding new content and fixing the existing ones. Though the game did receive some flak online for its loot box system that randomizes the items you get from loot, the other aspects of the gameplay and the graphics really do make up for it. If you can look past the ‘money-hungry’ tactics of the company, they really have developed a top-notch racing experience right here. 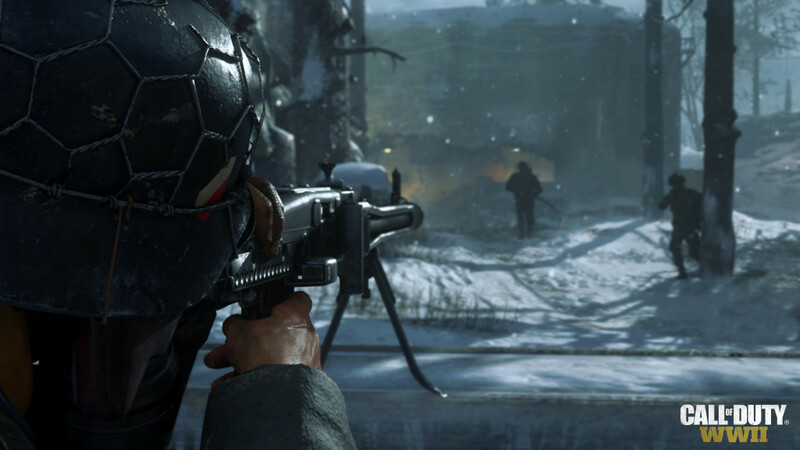 ‘Call of Duty: WWII’ goes back to the roots of the series and brings back all the mechanics that made the series great in the first place. All the double jumping and sliding around the floor has been scrapped and players now again have their feet glued to the ground. 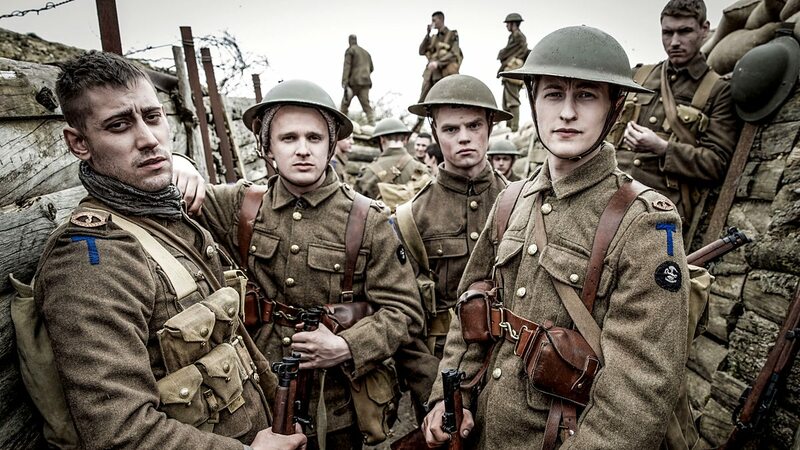 Also, the setting is World War II, and it allows players to take part in the most important battles of the war. The combat mechanics are pretty similar to the previous titles of the series but new features have also been introduced to the game such as a dive mechanic which allows you to dive forward and quickly scramble for cover in the middle of a gunfight. Though the title does contain an extensive single player campaign, co-op splitscreen multiplayer is where the game shines. However, keep in mind that the splitscreen feature is only available in the console versions of the game and not on the desktop versions. The multiplayer missions are set around the important battles of WWII as well and it requires you to complete certain objectives based around the scenario. There are no classes in the game but it makes up for this through a division system which assigns you to the appropriate division according to your gameplay style. There are a total of 5 divisions in the game, each containing its own perks and upgrades in addition to a global perk ranking system. 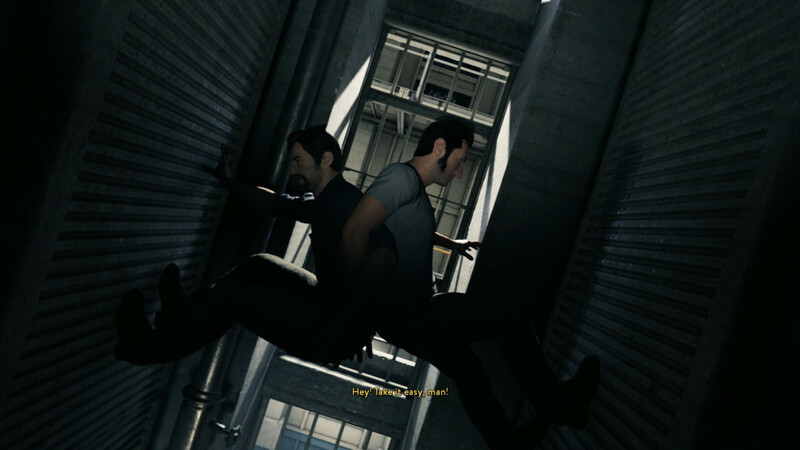 ‘A Way Out’ is a co-op multiplayer splitscreen multiplayer video game developed by Hezelight Studios and published by Electronic Arts in the year 2018 for Windows PC, Xbox One and PlayStation 4 systems. The whole campaign is designed for co-op gameplay and requires another player to control one protagonist of the story as you control the other in a splitscreen scenario. Each level requires both the players to work together even if they both are not at the same location on the map and this is something that the players need to use to their advantage in order to progress through the objectives effectively. You and your friend play the two leading protagonists in the story, Leo and Vincent, and they are escaping from prison together. However, this is not easy and it requires you both to use your heads together and figure out the puzzles within the game. Some require you both to engage in certain actions together at two different positions in the map and sometimes you are required to hold cover as your partner escapes. As the games tells the story of the two protagonists differently and from two different perspectives, it can end up with one of you being engaged in combat or watching a cut scene. ‘A Way Out’ has received favorable reviews from its critics, most of them praising the game for its innovative storytelling approach and gameplay design. If you like co-op gameplay or have a brother at home with whom you fight over games, why not choose this one and play through it together? I’m sure you have heard of the ‘Gears of War’ series if you are into third-person shooters, as it is one of the most popular series in the genre. The game has been developed by The Coalition and published by Microsoft Studios exclusively for Windows PC and Xbox One systems. 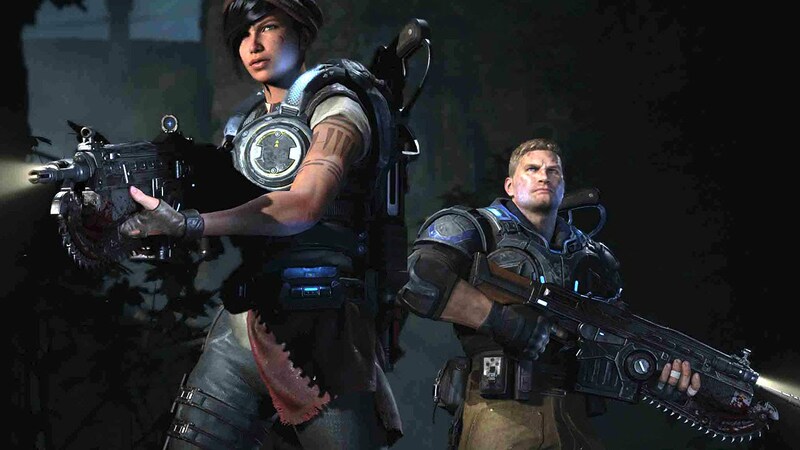 ‘Gears of War 4’, as the name suggests, is the fourth main instalment in the series and takes place roughly about 25 years after the events of ‘Gears of War 3’. It takes most of the elements from its previous instalments because let’s face it, you don’t need to fix something that’s not broken. The developers have had a considerable amount of experience creating and developing the game over the years and this is evident from the polished combat mechanics of the game. The storyline could have been a bit better, though, compared to ‘Gears of War’ standards, and this is perhaps the only complaint we have for the game. Ever since the first instalment in the series back in the year 2006, it has received regular installments in the series over the years and has also been a flagship title for Xbox gaming consoles as it is one of the main drivers of the console. A new title called ‘Gears 5’ is under development and we hope to hear from the studio at E3 this year so that we can find out more about the game. This is one title you should definitely check out if you are looking for games for your Xbox One as it is one that is highly recommended by fans and critics alike. ‘Halo: The Master Chief Collection’ is THE collection for fans of the ‘Halo’ franchise, a series of first person sci-fi shooters that has now cemented its position in the gaming industry through its gripping storyline and amazing gameplay mechanics. 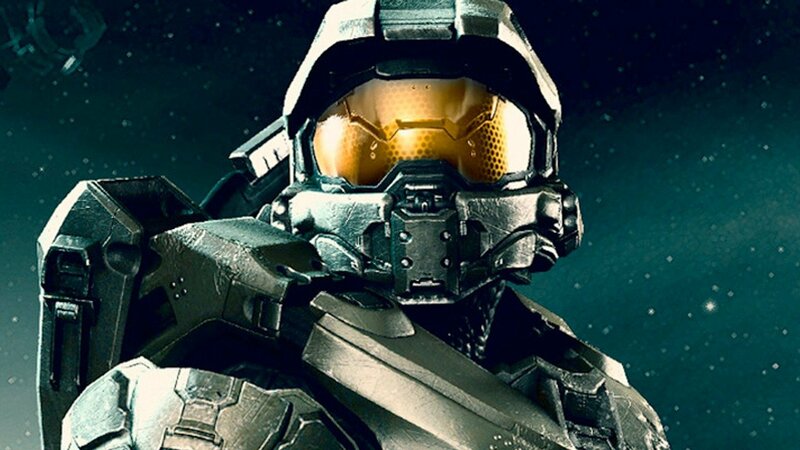 ‘The Master Chief Collection’ makes everything that has ever been released in the ‘Halo’ universe yours including all the multiplayer maps and collectibles ever released for the game. It contains ‘Halo: Combat Evolved Anniversary Edition’, ‘Halo: 2 Anniversary Edition’, ‘Halo 3’, ‘Halo 4’, Halo 5 Multiplayer Beta’ and every other instalment and expansion for the game that you can think of. If you have missed out on the ‘Halo’ franchise and want to catch up, this is one of the best opportunities for you to pick up the game as it will set you up with the complete ‘Halo’ experience from start to finish. The entire main campaign is playable in splitscreen co-op multiplayer, so it is possible for you to complete the whole storyline with a friend. The collector’s edition is developed by 343 Studios and published by Microsoft Studios for Windows PC and Xbox One gaming systems in the year 2014. If you are under the impression that cooking simulators are targeted towards kids, then prepare to fry up that thought and serve it cold to your worst enemy, along with this game! 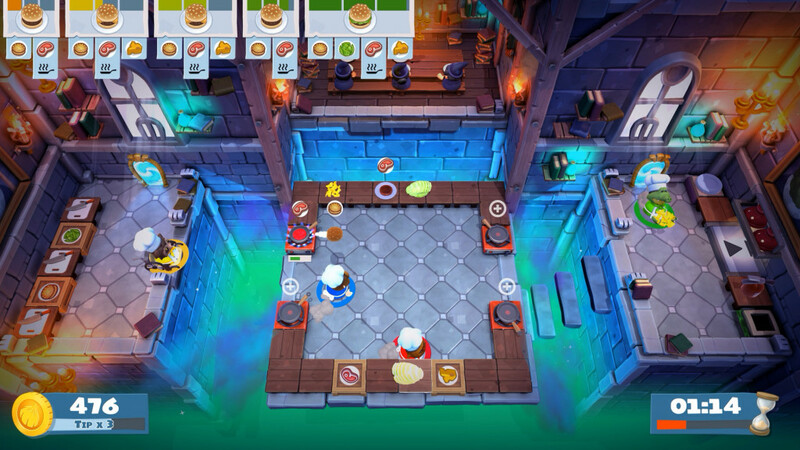 ‘Overcooked 2’ actually manages to test your management and concentration skills through its constant array of absurd recipes that you need to cook up along with three other friends in a co-op multiplayer setting. So now you think that you have 3 other friends to help you out and that it’s not such a big deal after all because you and your friends have pulled through some tough situations, right? Well, we dare you to play this game without any prior experience and beat it at the first go! There are combinations of short orders and long orders that you need to serve and each of these require you and your friends to pick up the right ingredients and then chop them up, mix them, dice them and then finally cook the dish and deliver it to the customer via a conveyor belt. There is an expansion for the game called ‘Surf n Turf’ that adds to the original game and introduces various whacky situations and themes into the gameplay. The game was developed by Ghost Town Games and published by Team17 in the year 2018 for Nintendo Switch, PS4, Xbox One, Windows PC and Linux and Mac systems. ‘Rayman Legends’ is a critically acclaimed platformer game developed and published by Ubisoft for the most leading gaming and desktop systems including Xbox One. 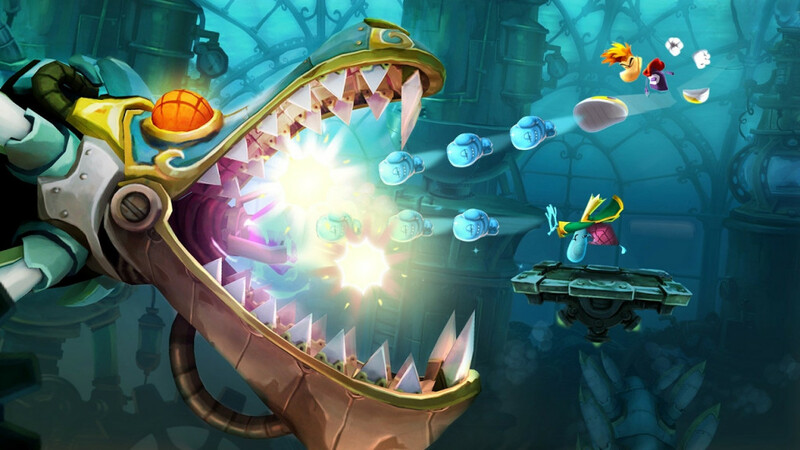 It is the fifth main installment in the ‘Rayman’ series and it allows players to play through the entire game in a co-op multiplayer mode. It is possible for 4 players to connect to the same game and complete the levels, simultaneously making it one of the best co-op platformers for modern systems. It has been praised by critics for its gameplay format and mechanics and Thomas Whitehead of Nintendo Life has said that the game is one of the best he has ever played and is ”near perfection”. We highly recommend this game if you liked playing platformers back in the day and there are very few out there in the market right now that can even live up to its name. However, the next entry on this list is also a multiplayer platformer game, so you better check out both the games before you make a decision. Better still, why not pick up both since we enjoyed them both thoroughly and they really do manage to bring something new to the table as long as platforming games are concerned. ‘Cuphead’ is an indie run and gun side scrolling platformer video game developed and published by Studio MDHR in the year 2017 for Windows PC and Xbox One systems, for macOS in 2018 and a port to the Nintendo Switch systems scheduled for launch in April 2019. The first thing that strikes you about this game is it graphics, which are stylized in the form of 1930s cartoons. This animation style is often referred to as the ‘rubber hose’ style of animation and was used by production houses such as Walt Disney and Fleischer back in the day. You instantly fall in love with the art design and the gameplay ensures that you stay hooked for hours. 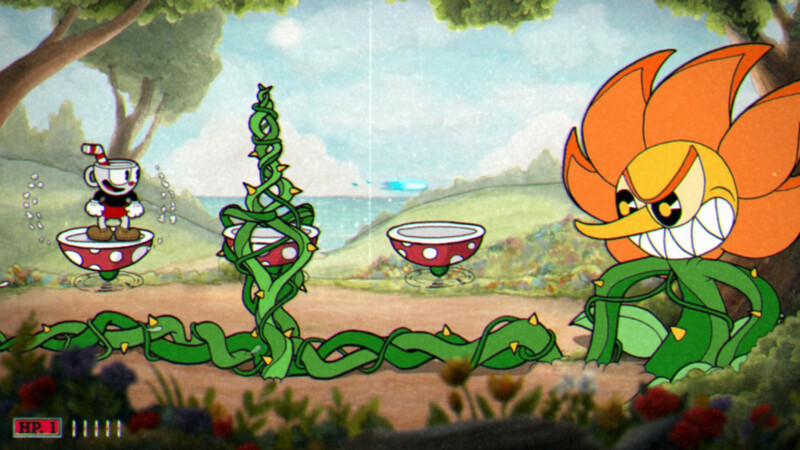 Some of the mechanics used in the game really redefines and sets new standards for what’s possible through a platformer alone, such as the various boss battle phases and mechanics. Some of the level designs are really unique and kudos to the developers for providing such a polished gameplay experience. The co-op multiplayer setting sets you up with your faithful partner mughead where you both take on various challenges in the game. ‘Cuphead’ is the platformer we’ve all been waiting for all this time and you must check it out for yourself! ‘Warhammer Vermintide II’ is the direct sequel to ‘Warhammer: End Times – Vermintide’, a first person action video game developed and published by Fatshark in the year 2015. Development for ‘Vermintide 2’ started as soon as ‘End Times’ hit the markets, to overall positive reviews. 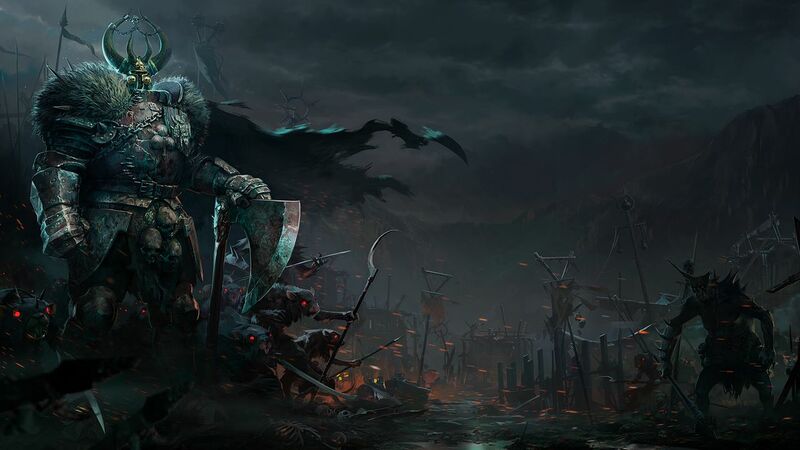 As you can tell by the title, the game is set in the ‘Warhammer’ fantasy universe and allows its players to take control of characters in the ‘Warhammer’ universe and fight against the Chaos Army and a bunch of ratmen known as the Skaven. The entire campaign of the game has been adapted for co-op gameplay and it’s almost as if it wants you to play co-op. Though it is entirely playable alone, we highly recommend getting a friend along and experiencing this mighty adventure. There are 15 different careers for you to choose from, each having its own skills and abilities, and this adds to the replayability of the game. ‘Monster Hunter: World’ is an action adventure video game developed and published by Capcom in the year 2018 for Windows PC, Xbox One and PS4 systems. 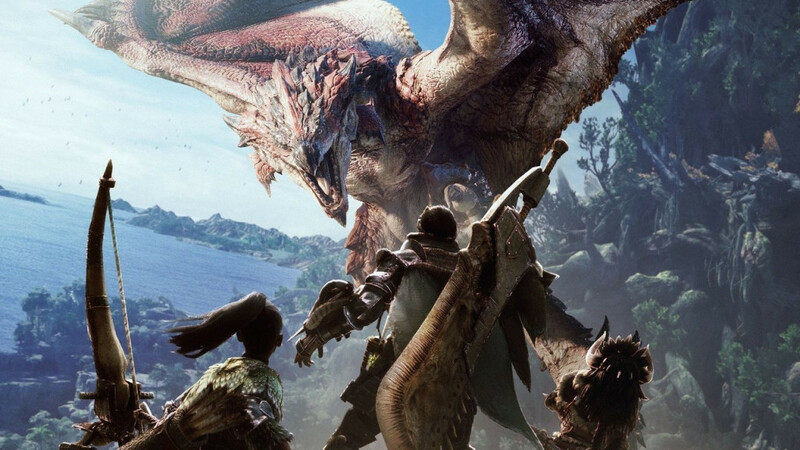 The game allows you to traverse an extensive open world that is inhabited by huge dangerous monsters which you need to hunt and gather resources from. You have the option to take down the animal or capture him in a cage depending on the situation and the resources available to you. This enables you to gather more resources and upgrade your gear. This is very essential as surviving in the wild against these monsters is not an easy job and gear is extremely important. 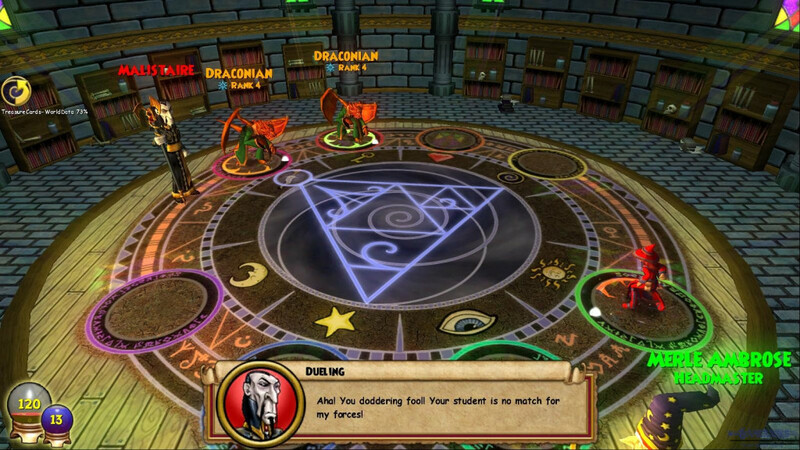 It also allows you to take down the deadliest of monsters in the game and receive the best of loot. The gameplay is multiplayer focused, so you and your friends can play in a co-op setting and hunt for monsters and explore the world together. ‘Far Cry 5’ is the fifth main installment in the ‘Far Cry’ series developed and published by Ubisoft in the year 2018. It is the standalone successor to the 2014 instalment in the series called ‘Far Cry 4’ which was set in a part of fictional India and Nepal border. 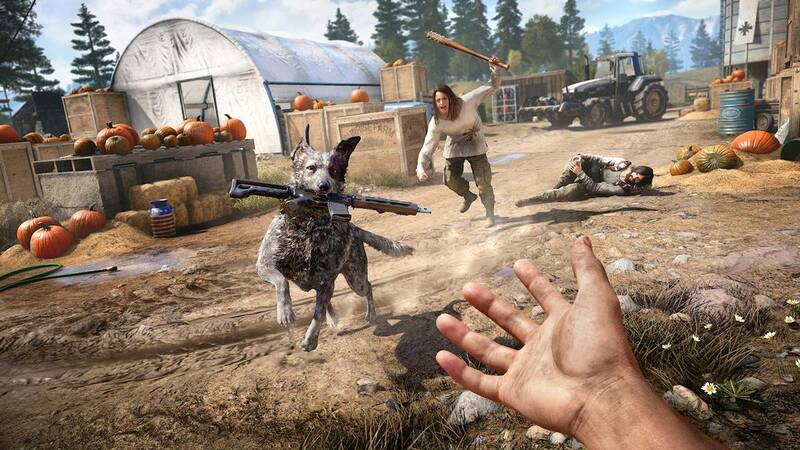 Similar to the previous games in the series, ‘Far Cry 5’ is again set in a fictional area that is heavily influenced by real world locations — in this case, Montana, US. The world is teeming with wildlife and various species of diverse plants and herbs — all of which you must use to your advantage to take down a doomsday cult that has taken over the area. 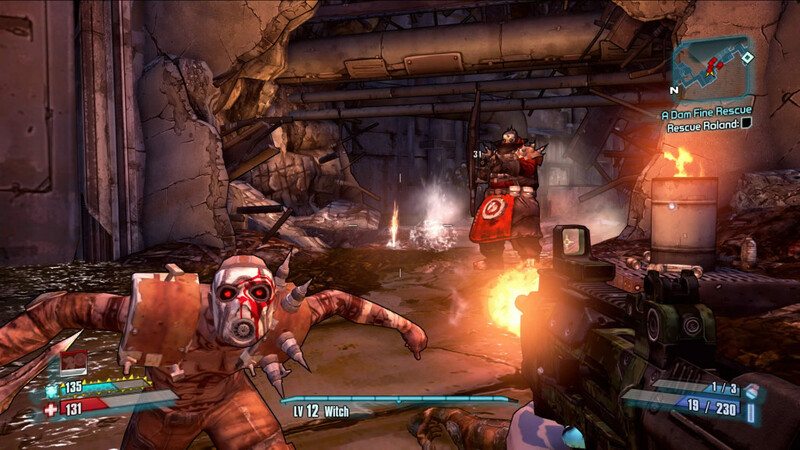 ‘Borderlands’ is one of the best co-op multiplayer games we have ever played and hence it finds its way to the top of this list. The game is set in a steampunk setting and players need to choose characters that go out into the open world in search of treasure. You are given a special suit that provides you with special abilities and you need to upgrade this suit in order to increase your potential. Though you can play the game in single player mode, it can be easily understood that it has been developed for co-op multiplayer. Team up with a friend and go out in search of valuable treasures while you take down other monsters and bounty hunters.